It is known by all owners of a water vessels including ships, yachts or even a cruise line that any extra bit of weight you add to your cargo not only affects your fuel consumption, but also adds to your bottom line. One of the heaviest and most expensive things to carry is water, but it’s not something you can go light on. Go figure your ship is surrounded by water, it’s just not drinkable. To remedy this situation and make things a little more convenient and cost efficient most ship owners have invested in reverse osmosis systems. These valuable systems take water from the ocean (or other bodies of water) and pull it through a semi-permeable membrane which allows water to pass but not the salt. The result is clear, fresh, and healthy water for your passengers without the need to stow tons of water on-board. A reverse osmosis system is a great investment, but don’t forget to ensure that it is working. If any part of the system, from the pump to the membrane, becomes damaged, you could be putting your passengers’ health at risk. The best way to make sure your water is clean and pure is to regularly test it for impurities. 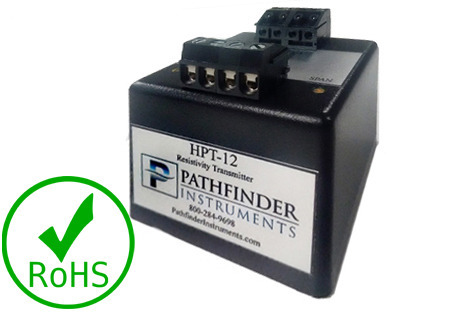 You can do that with the Pathfinder HPT-12 Resistivity Transmitter, which can test water for minerals and impurities, including salt.